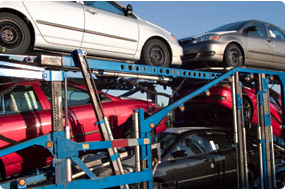 The decision as to whether to hire a car shipper to move or drive your car is often a big one. On one hand, moving a car with a professional company is expensive and may leave you without your vehicle for days. On the other, using a car shipper will save you from potentially spending hours in the car or putting thousands of miles on it. And while there is no universally correct answer to this question, you can make the right choice for you by examining all the relevant information, objectively. Your car is likely one of the most valuable things you own. Moving it with the help of a car shipper will require you to surrender it to people you barely know. Trustworthiness. The best way to get a feel for whether your car shipper is trustworthy is to speak to others who have used the car shipper's service to see how their experience was. You should also check with the local Department of Transportation to see if the car shipping company is certified or has had any licensing problems. Lastly, you should trust your instinct when speaking to different car shippers, as your comfort is an extremely important part of the process. Price. Getting quotes from multiple sources will ensure you're paying a fair price. Capabilities. If you're planning on shipping your car via crate (as opposed to flatbed truck, for example), you'll want to make sure your car shipper can accommodate a car of your dimensions. Make sure to measure your automobile carefully, as a few missteps can mean the difference between a successful move and a car shipping disaster. Although it may sound counterintuitive, the first step to preparing your car for the move is to get it washed. When your car is clean, you'll be able to record all the dings and scratches, dents and bruises, so that in case any others appear during the shipping process, you'll be able to request compensation from your car shipper, directly. You should also clean the inside of your car so that nothing valuable is left inside. Most car shippers are not licensed to ship personal items, so any items that are damaged or stolen when left in the car, will likely not be covered by your insurance policy. While you're inspecting the car, try to remove all extra add-ons (such as bike racks, spoilers, and luggage racks), that aren't soldered down, so that they don't get damaged, during the move. When the car is clean, check for any fluid leaks that may be further aggravated during shipping. To complete the car's preparation, disable your car alarm and empty the gas tank so that the car is fully prepared for the move. Shipping your car may sound stressful, but it's actually a great way to make the moving process easier. If you make sure to research your car shippers, thoroughly, there's no reason to think that your car shouldn't arrive exactly how you sent it.